The Public Accounts Committee is not a glamorous place. There’s little chance to show off for the cameras or score points with the public. Brittin handed the politicians a victory, embarassing himself and convincing many that he shouldn’t be in his job. Google is a multi-billion pound company that pays a remarkably low amount of tax thanks to arrangements with HMRC and Google’s creative use of Ireland, the Netherlands and Bermuda. There is no reason to suggest Google acts illegally – all its tax affairs are perfectly legal. But they are sneaky. Sneaky, disingenuous politicians fall from favour very quickly. CEOs should be no different. Does it really matter if Google’s boss doesn’t know his salary? Actually, yes. When asking the question ‘Can we trust Google to behave responsibly?’ the obvious answer is to look at its leadership. Not only did Brittin not know his salary, but neither he nor vice-president Tom Hutchinson could name the figure Google pays tax on. These two high-flying executives oversee millions upon millions in revenue across Europe but they came to a public hearing on tax without information on how much they pay. Are these men stupid? No, in fact they’re quite clever. They came to a committee pretending to co-operate with the state and conveniently ‘forgot’ the figures. That kind of disrespect shows exactly what Google thinks of the British public and their concerns about fair taxes. Maybe Matt Brittin doesn’t know how much he earns. Maybe he’s too busy to focus on little details like that. Or maybe he just doesn’t want people to know how much he gets paid to come to parliament and sound like an idiot. Either way, Brittin hasn’t had to worry about paying bills in a very long time. It’s no surprise Google can’t show the PAC how much tax they pay; the company’s leaders have a lazy, irresponsible attitude towards money. Google is swimming in cash, why care about a few million in tax or a few hundred thousand in share options? Out of touch? They don’t know the meaning of the term. Google’s tax arrangements probably won’t change as a result of its CEO’s risible performance. Huge, global corporations like Google have grown so fat and powerful that individual nations can do little to rein them in. Democracy doesn’t matter to Google, they make money whether they accept public votes or not. Google’s massive wealth lets it influence government policy, bend the rules to suit it and unashamedly ignore public opinion. 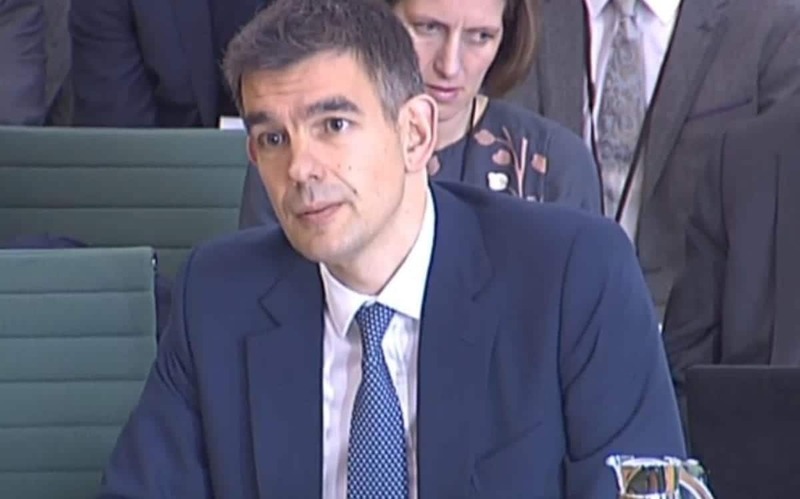 Matt Brittin will keep his job and may even win praise from fellow corporate big wigs for derailing a tax investigation. But Google has achieved the impossible – it’s made a group of bland politicians look good. An MP who claimed she didn’t know her own salary would be out of Westminster so fast her head would spin. Google’s CEO is far more powerful than any single politician. At least people vote for their MP, we have no choice about corporate CEOs, even when they don’t know what they earn and just don’t care. Darragh Roche is an Irish freelance journalist writing about politics, society and culture.He studied History and English at the University of Limerick and American studies in Budapest, Hungary.